There will be some new faces in the Ottawa 67’s organization when Saturday rolls around. Starting at 9:00 a.m. on April 7th, the 2018 OHL Priority Selection will mark the first stop for many future NHL hopefuls as they begin their junior hockey career. Throughout the league, OHL teams invest countless hours of research per year in order to make sure the picks they make will help push the club to the next level. The Barber Poles look to make an impact this weekend by filling out team needs and of course, by adding skill. 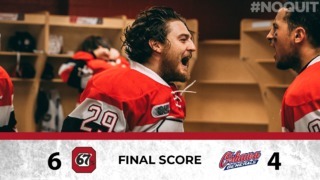 “Speed and hockey sense is a key for us, but what we’re really looking for are players that love the game and are willing to put in the work to get better,” said 67’s General Manager James Boyd. 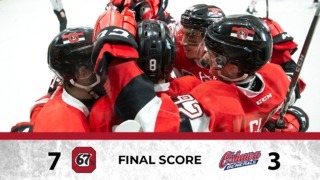 During the regular season, the 67’s finished with a record of 30-29-6-3 and are slated to select sixth overall when the draft kicks off. The 67’s will be busy on draft day, with six picks in the first four rounds (sixth, 35th, 33th, 51st, 66th and 76th overall). The 67’s will then pick 86th, 106th, 126th, 166th, 206th, 226th, 246th and 290th overall during the 15-round draft. The order of selection is determined by where a team finished during the regular season with the last place team drafting first. The Sudbury Wolves hold the first selection in this year’s draft. The last time the 67’s drafted first overall was back in 2013 when they selected 67’s alumni and current Philadelphia Flyers forward, Travis Konecny. 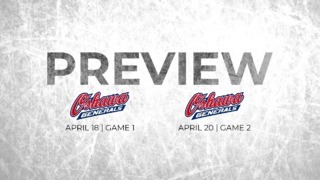 If you look back ten years, the Ottawa 67’s have had plenty of success in the first round. In last year’s draft (2017) with the sixth overall pick, the Barber Poles added Ottawa-native, Graeme Clarke. With the sixth overall pick, the 67’s have the opportunity to bring in a player that can immediately bring success to the city of Ottawa. Scouts have watched prospects all year for this day, and not only for the first round. A team isn’t built off of only first round prospects, but it’s the finding success in the later rounds that win championships. The waiting is over and the future is here. Catch the entire draft process online at www.ontariohockeyleague.com.